I’m a bit obsessed with the Gucci Cruise collection, from dresses to shoes and bags. It’s not a surprise, I don’t really know anyone who wouldn’t love it. 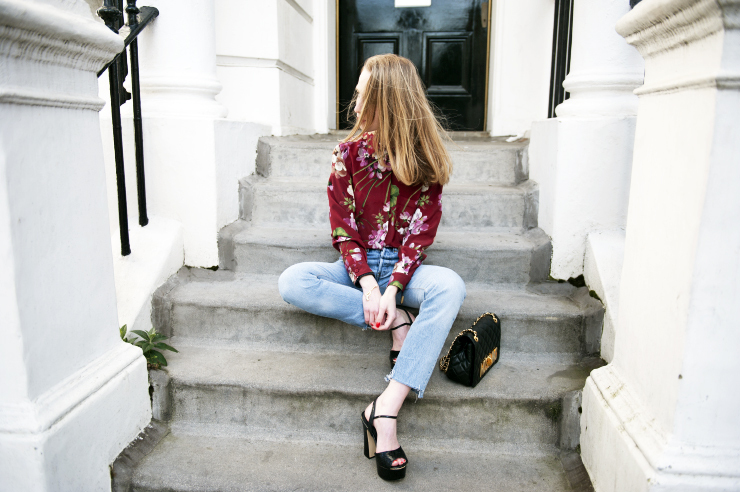 I chose the floral print shirt from Cruise collection, but styled it with my favourite pair of Levi’s. As you know, denim is my second skin and it feels more ‘me’ to combine unique pieces with my favourite clothes rather than wear a total look from a particular brand, even when I love the whole collection and campaign. All this topped with a Moschino bag from Monier Freres, Akollekt pistol bracelet and platform sandals. Great combo and those jeans fit you like a glove, girl! No wonder you want to wear them with everything!! yeeeah this shirt is too good to be real !! You are looking stunning! Love the shirt and jeans. to dużo bardziej korzystne, gdy wykorzystujesz swój własny gust zamiast gustu projektanta, nawet jeśli Gucci oferuje rzeczy tak piękne, że można by wykupić wszystko. Ja “od Gucci” mogę mieć póki co jedynie aksamitkę z kwiatem dzięki własnej wesołej twórczości DIY ;). pozdrawiam! I love SO MUCH your outfit! Everything is perfect! 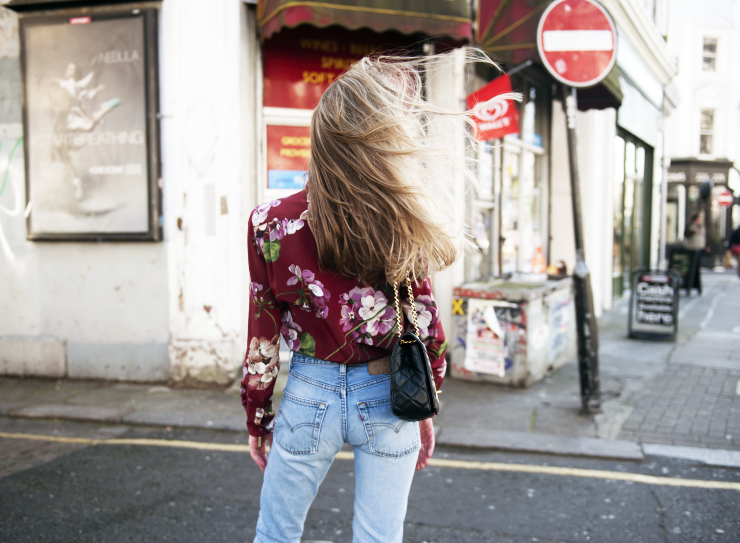 I love the Levis, love the floral shirt, love your shoes and your attitude! Very inspirant! Love Gucci, love the shirt, love you. You’re the sweetest model !! 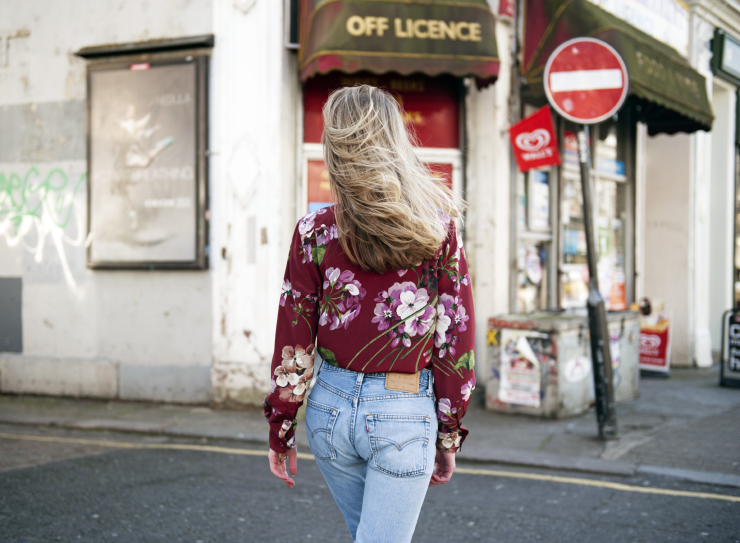 The Levi’s share your curves and femininity. You look fabulous !! Super koszula i przepiękna torebka!! Love that set! 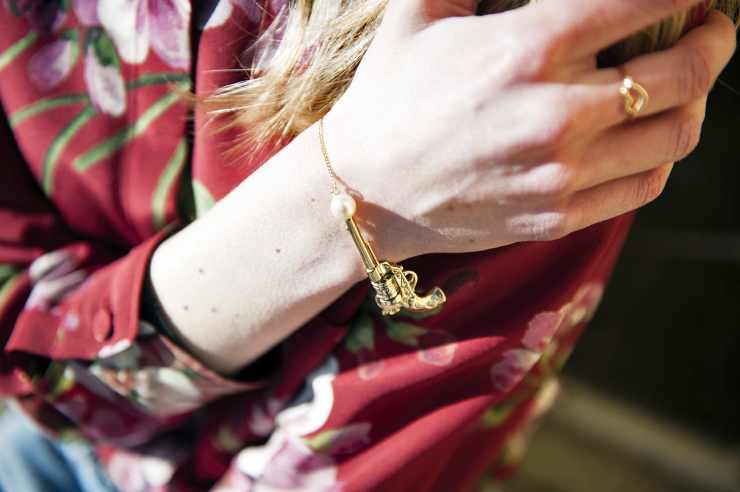 Feminine, stylish & simple! Wow…what an amazing floral shirt. Love your outfit.